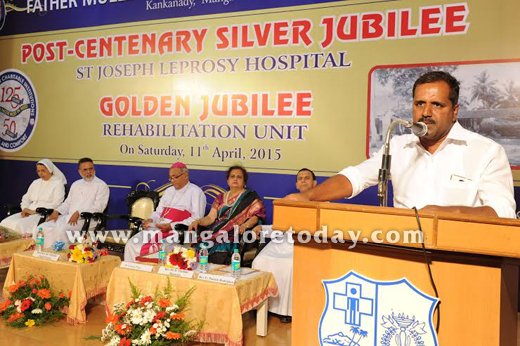 Mangaluru, Apr 12, 2015: U T Khader, Minister for health and family welfare, at the 125th year celebrations of the St Joseph Leprosy Hospital of the Father Muller Charitable Institutions on April 11, Saturday, said Karnatake state government will consider job opportunities in Govt departments for those cured of leprosy. The department has appointed 110 persons in the state, including two from Mangaluru, against vacant posts in his department. 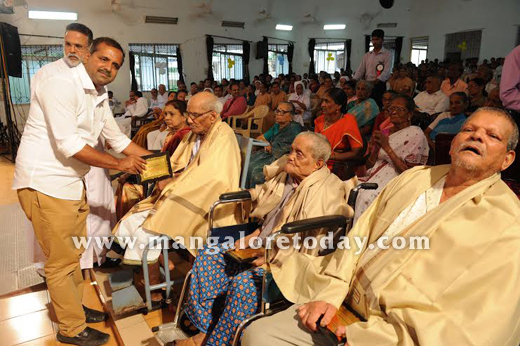 These persons were invited to the banquet hall at Vidhana Soudha and felicitated. The process is on, appointing more persons is set to go on. Giving hope of rehabilitation and recovery for those affected by leprosy, Minister Khader said the State Leprosy Hospital in Bengaluru, which is not operational for the last few years for various reasons, will resume in the next few weeks. 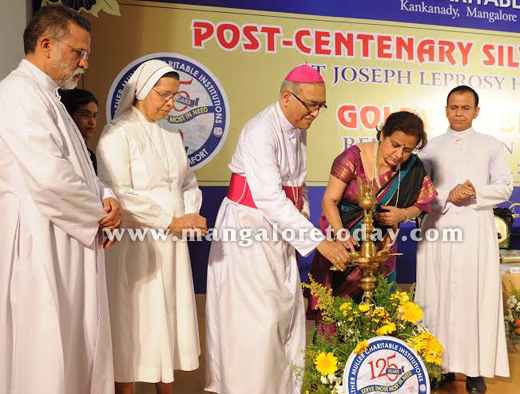 Rev Dr Aloysius Paul D’Souza, Bishop of Mangalore Diocese recalled his days in the seminary when he visited St Joseph Leprosy Hospital. He said this institution has been taking care of these patients rejected by society and will continue to do so. Minister Khader presented the bishop with a certificate on behalf of his department appreciating the services rendered by St Joseph Leprosy Hospital. The minister also presented self-care kits supplied by the department to patients and felicitated the hospital staff. The occasion marked 125 years since the German Jesuit Rev. Agustus Muller set up a homeopathic clinic for patients attacked by an epidemic and also an asylum for the numerous leprosy out casts that existed in then Mangalore.